William Saroyan, an Armenian author and dramatist, was born in Fresno, California to Armenian immigrant parents who moved to New Jersey in 1905 from Bitlis of the Ottoman Empire. His father was a small vineyard owner. Unfortunately, after moving to the United States, he was forced to take up farm-labouring work. In 1911, after his father’s death from peritonitis, Saroyan, along with his brother and sister, was sent to an orphanage in Alameda. It was only after six years, when his mother Takoohi secured a job in a cannery, they were allowed to reunite with her in Fresno. Extremely bright as a student, Saroyan continued his education on his own by doing several different jobs, one of them was to work as an office manager for the San Francisco Telegraph Company. Saroyan was inspired to become a writer after reading some of his father’s precious writings. As an author, he emphasized on basic values of freedom, brotherly love and universal benevolence. Some of his early short articles were published in The Overland Monthly. In the 1930s his first collected stories began to appear among which ‘The Broken Wheel,’ was written under a pseudonym Sirak Goryan and published in the Armenian journal Hairenik in 1933. Many of his stories depicted his childhood experience; his short story collection My Name is Aram in 1940 was an international bestseller and has been translated into several languages. As a writer, he made his first breakthrough in 1934 with ‘The Daring Young Man on the Flying Trapeze’. 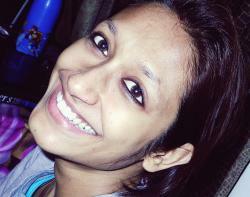 The central character of the book is a young starved writer who literally struggles to endure the Depression-ridden society. His stories were highly inspirational in the midst of difficulties of the great depression. As a playwright, he would depict his own life experiences. Saroyan’s essays and memoirs portrayed the people he had met on travels in the Soviet Union and Europe. The names included the Finnish composer Jean Sibelius, the playwright George Bernard Shaw, and Charlie Chaplin. Published in 1952, The Bicycle Rider in Beverly Hills was his first of several volumes of memoirs. In 1939, his first play My Heart in the Highlands was a comedy about a young Armenian boy and his family. The Time of Your Life in 1939 is among his widely acclaimed plays that won him a Pulitzer Prize. Surprisingly, he refused to accept the honor as he never wanted commerce to judge the arts, but accepted the New York Drama Critics Circle award. In 1943, he was honored with the Academy Award for Best Story. His another notable play is The Human Comedy in 1943, where he shows a young telegraph messenger Homer’s life experiences – the sorrows and joys of small town people during World War II. Some of his other books are Three Times Three (1936), Little Children (1937), Love Here Is My Hat (1938), The Adventures of Wesley Jackson (1946), Days of Life and Death and Escape to the Moon (1970), Chance Meetings (1978) and many more. His more notable plays are My Heart’s in the Highlands (1939), The Agony of Little Nations (1940), The Beautiful People (1941), The Stolen Secret (1954), The Dogs, or the Paris Comedy (1969) and many more. Some of his stories are The Filipino and the Drunkard, The Shepherd’s Daughter, Resurrection of a Life (1935), Third day after Christmas (1926), Five Ripe Pears (1935) and many more. 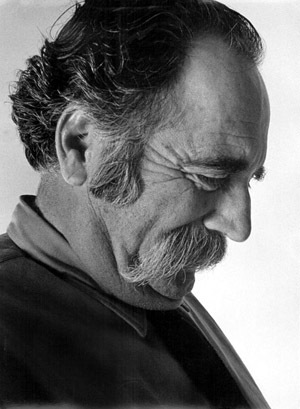 In 1981, on May 18, Saroyan died from prostate cancer at the age of 72. Before death, he said, “Everybody has got to die….but I have always believed an exception would be made in my case.” Half of his ashes was buried in California, and the rest half was taken in Armenia.